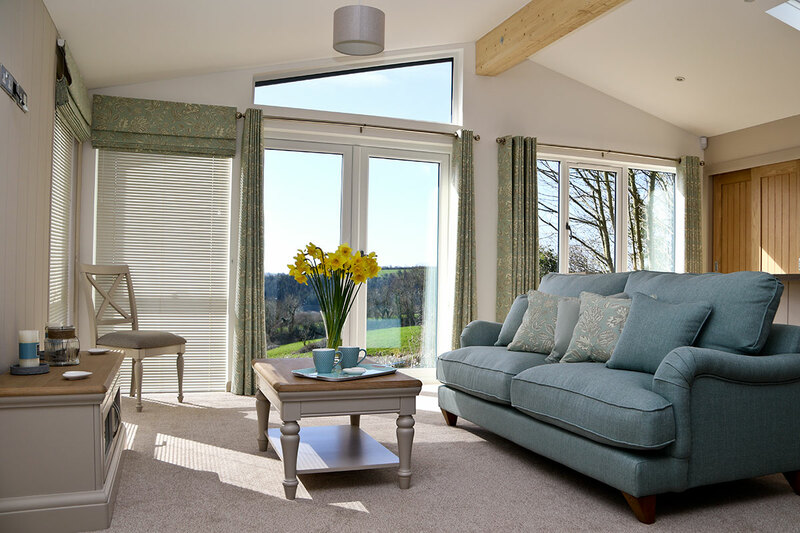 If you are looking for a peaceful South Devon holiday lodge home, we believe that a luxury lodge at Webland will meet your needs. Webland Farm is a peaceful holiday park with beautiful grounds and delightful views. You can look across to Dartmoor (as shown above) and the South Devon countryside. At Webland we have a choice of beautiful new lodges for sale in the Meadow and charming pre-owned lodges in the Spinney. The new Meadow holiday lodges are in a fresh country lodge style and include high-quality fixtures and fittings. They come with extensive decking positioned to provide you with the best views available. These 40’ x 22’ lodges will be the largest and most specified holiday homes in the park. All our holiday lodges come complete with double-glazing, central heating, furniture and furnishings. Further information is on our Meadow site plan and Meadow Lodge photo gallery. You can also request an information pack for all the latest details. The internal finish of our luxury lodges always surprises first-time viewers. The finish is to a very high standard. The Meadow and Spinney holiday lodges include two bedrooms (one bedroom having an en-suite shower), bathroom, kitchen, lounge and dining areas. 100mb Broadband connection is also standard. Meadow lodges also have a 3-bedroom option on request. 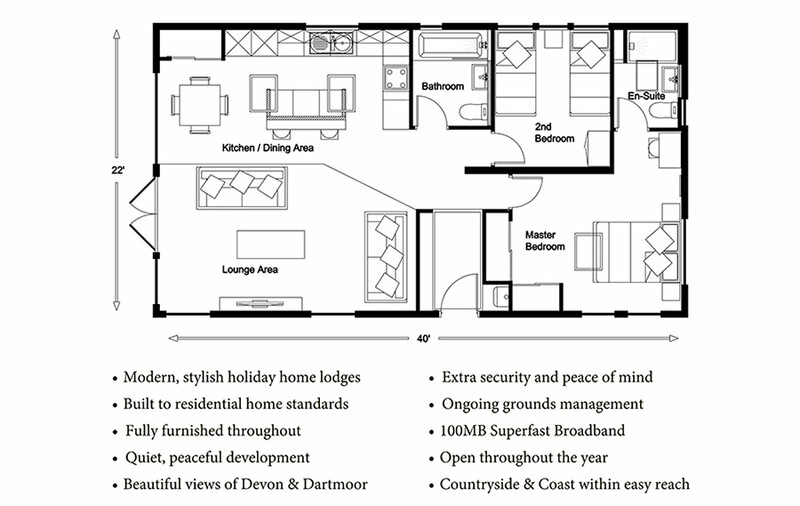 The open plan lounge and dining area is the spacious and relaxing centre of your holiday lodge. The large windows and the vaulted ceiling add to the sense of space while retaining a feeling of warmth and welcome. Integrated with the lounge/dining area is a modern kitchen designed to provide you with plenty of surface areas and cupboard space. There is also a full range of kitchen appliances. Full details of the lodges are available on their web pages. The plots we provide, including external decking, add to the feeling of space and privacy for each lodge owner. We agree on a decking plan with each new owner before installation, and we look to get the best design for each plot. The extra decking we provide is popular with owners, who see it as a significant added benefit in the Webland package. As well as the original design, we believe we offer an extensive and better quality build. Decking is inclusive in the standard price of Meadow and Spinney lodges. The Meadow and Spinney developments provide space between lodges well over holiday park standards. We also have an on-going planting programme which has added a large number of shrubs, bushes and flowers to the park in recent years. This planting has increased the charm and privacy of the lodge plots while retaining the views out from the park. Webland also has 28 beautiful timber clad lodges in the Spinney area. From time to time these come available for sale as a value for money pre-owned option. These lodges come with a range of different designs and interior colour decorations and furnishings. The Spinney is a peaceful and attractive area, matured with landscaping and planting. Our Spinney lodges also have spacious decking for you to relax and enjoy the view. We have show lodges available for viewing. These are ready to purchase, and you can move into them quickly. You can, of course, decide to order a lodge and have more input on the decking and the interior design. As lodges become available, we send details out to our e-mail and contacts lists and add the information to this website. We would recommend you request an information pack and join our mailing list to get the latest information. The peaceful environment at Webland creates a sense of well-being and relaxation. Webland attracts holiday home owners who appreciate the peace above anything else. By their nature, these owners also respect the space and privacy of their neighbours. This approach means that we can create a relaxing holiday ‘bolt-hole’ with a warm and friendly atmosphere. The park rarely seems busy, even in the height of summer. It is a place to relax and unwind. From the moment you leave the A38 and turn into Webland Lane, you know you have arrived in the middle of the South Hams countryside. 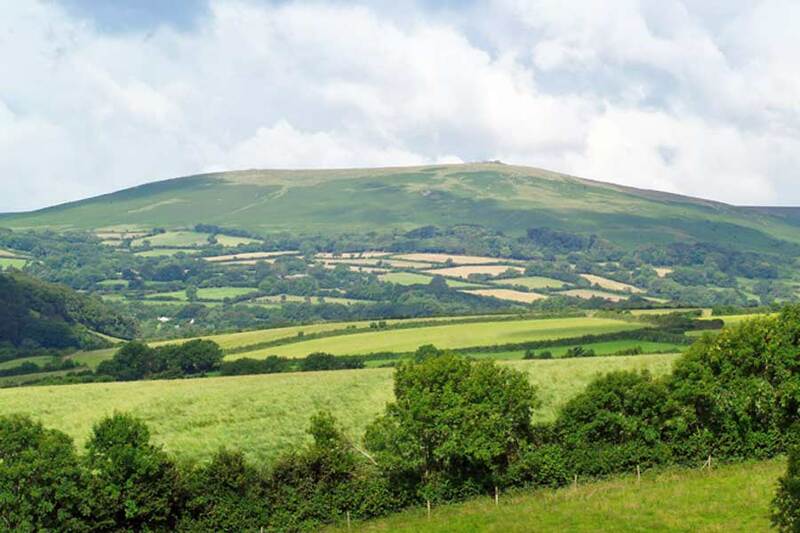 Surrounded by two areas of natural beauty, South Devon and the Dartmoor National Park, the views are delightful. At Webland Farm there is no restriction on when you can use your ‘log-cabin’ as we are open every day of the year. The only condition is that Webland is not your primary residence. All our lodges have second home/holiday home licenses. As well as having beautiful countryside around the park, there are lovely walks through the local hillsides and meadows. There is an overall feeling of space and relaxation. Webland is ideal for both the short-term ‘get away from it all’ weekend break, and for the long holiday when you can chill out. It is also enjoyable to come throughout the year, to experience the delights of the changing seasons. You can use your Webland holiday home at any time as your second home as we never close. Webland Farm is different to many holiday parks in that we make a conscious decision not to overdevelop the park. We have delightful views, and we want our lodge owners to enjoy the peace and tranquillity of their ‘escape to the country’. We take our duty to our holiday home owners seriously. Purchasing a holiday lodge is a big decision, and we want to give our support to help you make the right choice. We have been full members of the British Holiday & Home Parks Association (BH&HPA) for many years. By following their guidelines, and going further where appropriate, we provide you with added security in your purchase. All our agreements have a fair price policy. We present initial purchase contracts clearly for you and take the time to ensure you fully understand the deal. It is essential that you have complete confidence and trust in us when you choose to have your holiday lodge at Webland Farm. Owning a holiday lodge should be ‘hassle-free’! We can provide you with the service and support you need. You can, therefore, be confident that your lodge is in our care when you are not there. For owners who want to bring their dogs to the park, we have a dog-friendly approach. We do ask that dog owners respect the space and needs of other holiday home owners. We have a separate area for dogs to run in, but we ask that owners control their dogs in the holiday home areas. You may be in the middle of the Devon countryside, but you still want the best of internet connections. We have made a significant investment to bring a super fast uncontested broadband connection to the park. This opens up a world of technical options. You have a dedicated and speedy connection for your phones, tablets and computers. We can provide you with a Sonos base station, and you can bring your own devices to the park including your Sky TV box. A 100MB uncontested line, which means 100MB for both upload and download, gives you all you need to stay connected. Our future plans are to provide higher speeds as the technology and pricing make it viable. 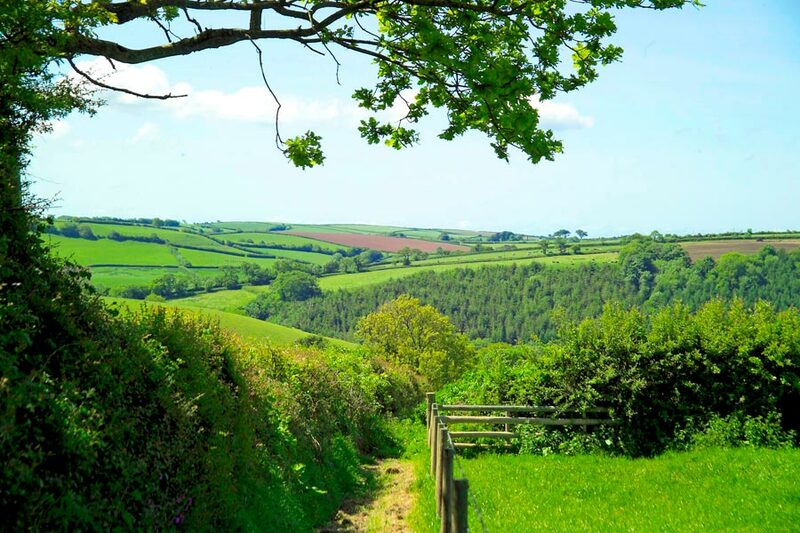 South Devon is one of the most popular holiday areas in the country, and Webland Farm is an excellent base to explore it. 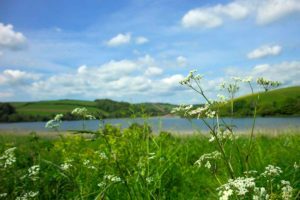 We are just a few minutes from Dartmoor, only 15 miles from the coast, and 6 miles from the historic market town of Totnes. The South Hams coastline is an Area of Outstanding Natural Beauty. The beaches have high standards and are regular award winners for the quality of the shoreline and seawater. Salcombe has one of the mildest climates in the country. The town is on the Salcombe to Kingsbridge estuary, which is usually full of all types of sailing boats. There are plenty of beaches on both sides of the water, and landscaped gardens make the whole area very attractive. It is an active town and holds many events including the Salcombe Festival, Regatta Week and the Dragon boat race. Further down the coast, Bigbury is a personal favourite of many of the owners at Webland Farm. It is just a short drive from Webland. In addition to being famous for surfing and canoeing, Bigbury has a sandy beach that is perfect for the family. There are some outstanding coastal walks and an island that you can walk to, well at least at low tide. At high tide, there is a sea tractor that can take you across. The island in question, Burgh Island, has featured in many films. These films include Agatha Christie and Lovejoy episodes and the Dave Clark Five film ‘Catch Us If You Can’. There is a splendid array of charming market towns to explore in South Devon. 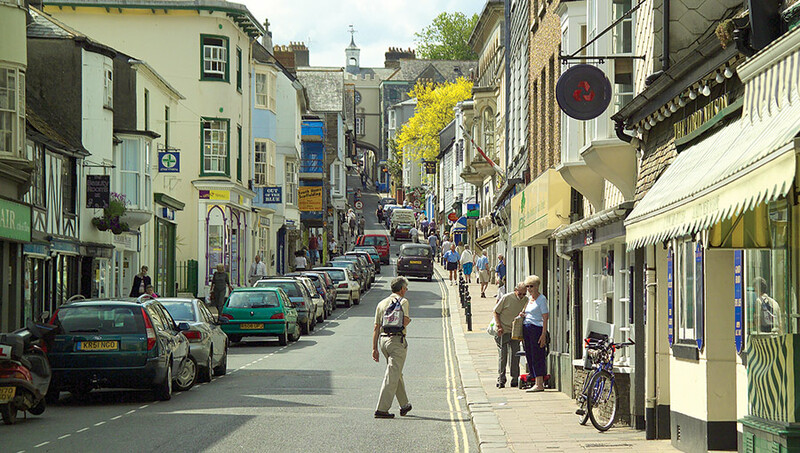 Towns such as Ashburton, Kingsbridge and Totnes provide a mixture of history, culture, markets and antique shops to explore. There are many pubs and restaurants to choose from, and events that occur throughout the year. Totnes is a fascinating town, steeped in history. It has a reputation for being bohemian and attracting alternative lifestyles. There are many examples of properties in Totnes dating back to Norman and Medieval times. Totnes Castle is the centre point of the town. It is a Norman castle with superb views over the rooftops. There is a unique atmosphere in Totnes, and it is a lovely place to spend your time. Summer market days include special Elizabethan days with market traders in full costume. No trip to Devon is complete, of course, without a traditional Devon cream tea. There are many little villages with local teahouses. If you enjoy golf or fishing, there are several places nearby to meet your needs, and some of the golf courses have amazing views. Dartmoor is a beautiful place to visit and its landscape changes with the seasons. It offers excellent walks for both the casual and experienced walker. Views of woodland valleys, rushing rivers, and striking reservoirs abound. It also has a wealth of historical remains, nature reserves and cattle, sheep and ponies roaming free across the land. Dartmoor was also used extensively in the 2012 Stephen Spielberg film War Horse because of its spectacular scenery and lighting. You can visit the places used in the movie by following one of the guides available. 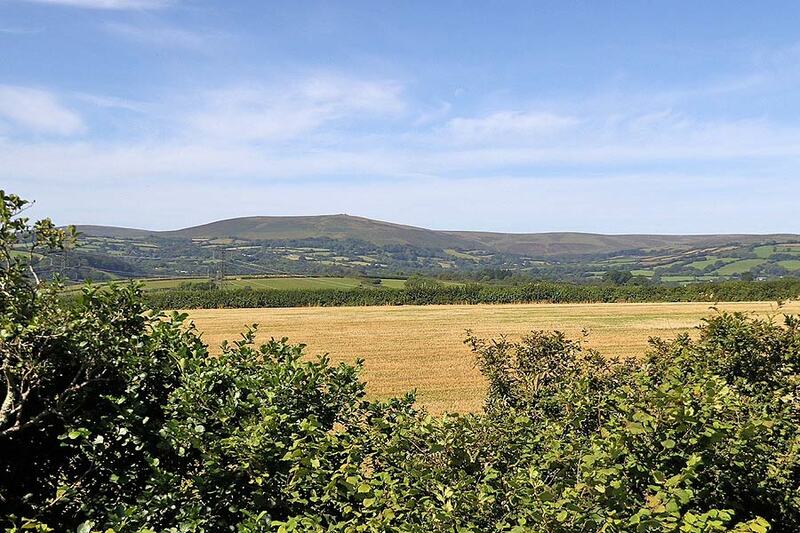 In summary, if you would like a quiet Devon holiday home and delightful views, we believe Webland Farm will meet your needs. It is a friendly non-intrusive environment. There are occasional site activities, but by and large, the priority is to make sure that you have everything you need. We want you to relax and enjoy your holiday lodge. 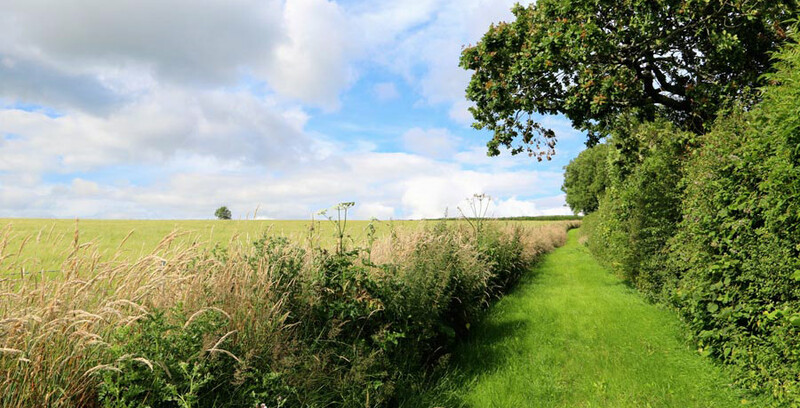 We want you to enjoy the countryside from your ‘second home’. If we sound like the place for you, please give us a call on 01364 73273. We would be delighted to send you our latest information, and answer your questions. On the other hand, why not come and see us at Webland and view the quality of our lodges for yourself. We usually have a show lodge available for viewing on site. We would love to show you the lodge and the park and answer your questions.